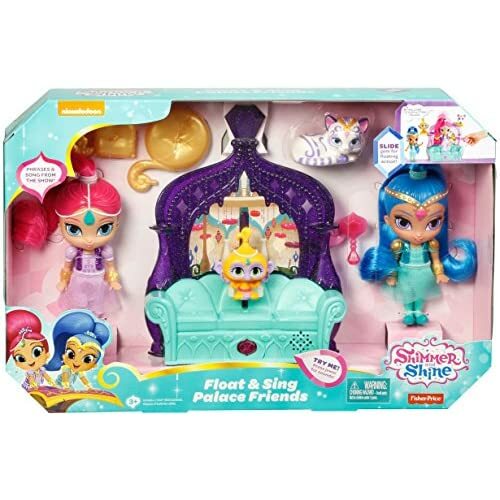 Disponibilidad: Only 11 left in stock - order soon. 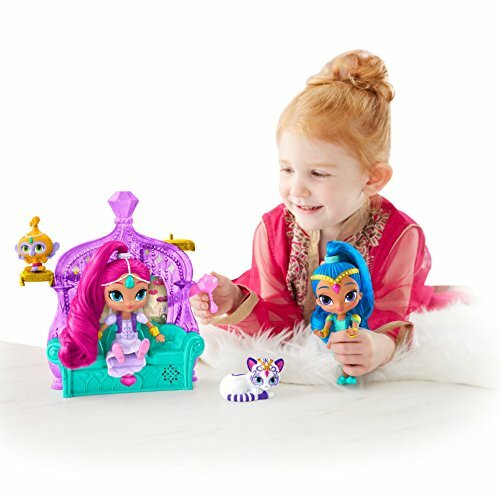 Boom Zahramay! Are you ready to play? 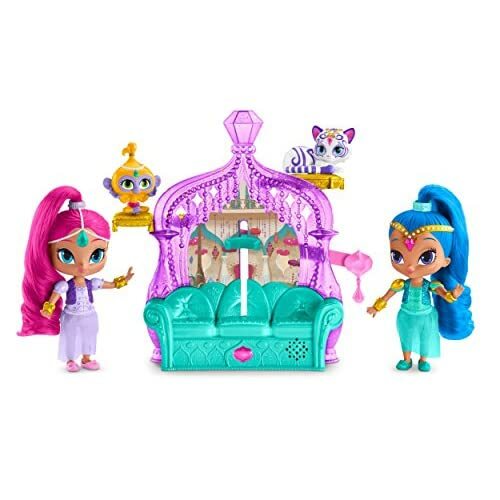 Shimmer and Shine’s palace living room is decorated in pretty jewel-toned colors and comes with a magical surprise! 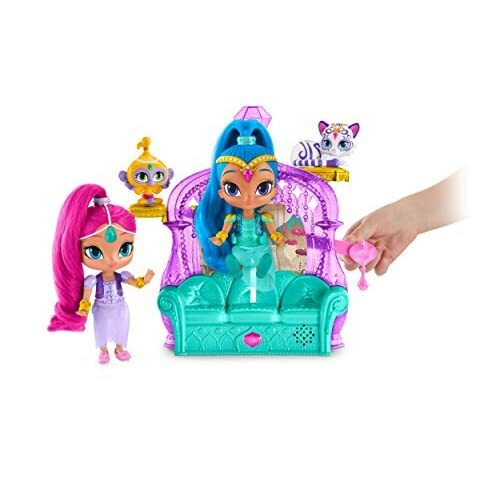 When you lower the special gem, the couch’s magical pillow lifts up to make the genies appear like they’re magically floating in mid-air! 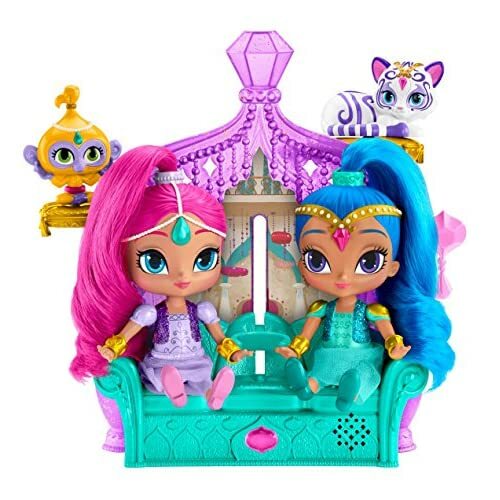 The playset also features lots of fun phrases, a song from the television show and it even comes with side pillows that make perfect perches for Tala and Nahal. 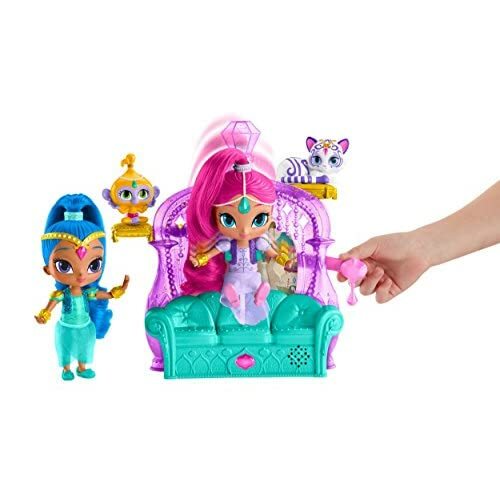 The Float & Sing Palace Friends playset comes with Shimmer, Shine, Tala and Nahal.